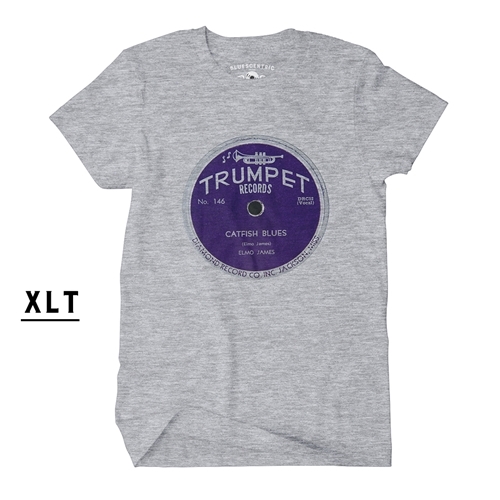 Stax Records' famed house horn section, The Memphis Horns, also put the Bum Bum Bum in "Sweet Caroline"! 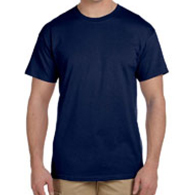 This is the special XLT version of this Catfish Blues T-Shirt. 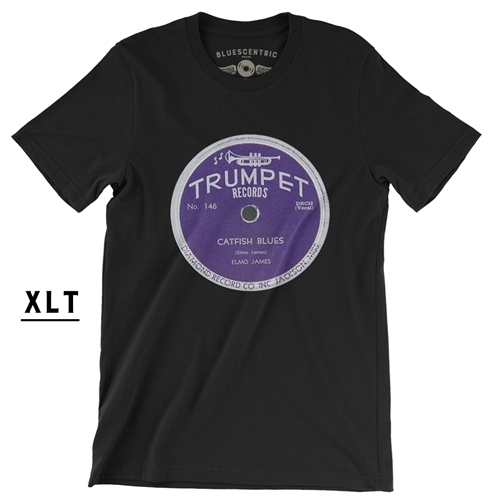 The version of Catfish Blues featured on this t-shirt was recorded by Elmore James on July 24th, 1951 at Trumpet Records, Farrish Street, Jackson, Mississippi. He was originally billed as Elmo James. 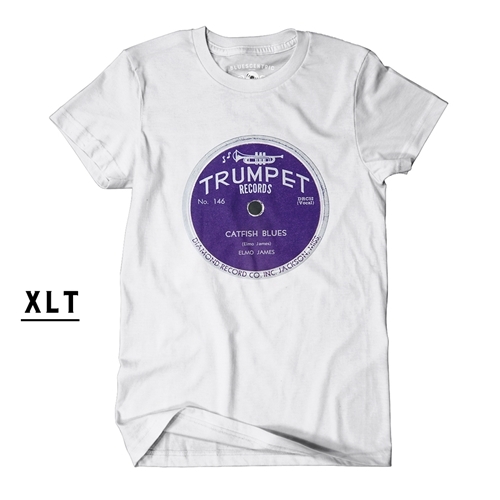 Trumpet Records only survived four years until 1956, yet label recorded some of the most pivotal, long-running and famous blues of the 20th century. Elmore wasn't nearly the first to record Catfish Blues. The mysterious song, along with sixteen others, was first sang by Robert Petway in 1941 and '42. Strangely, nothing is known about Petway, who vanished entirely after his recording session.